I love dumplings. I’ve made them, though I have to admit not very successfully. I’m still working on it. Meanwhile I have to get my dumpling fix from those who know what they’re doing when faced with a wonton wrapper. I’ve been to Camy Shanghai Dumpling in Tattersalls Lane in the City a few times. It’s hugely popular and you often need to queue for a table. The ambience is nil. The hygiene is possibly dodgy. But they’re cheap and filling, though not that refined. The attitude of the staff is pretty awful too. Still, when you’re paying $6.80 for a plate of 20 dumplings I suppose you can’t expect to occupy the table for more than 10 secs after the last dumpling is off the plate. Even if you are still drinking your tea. Camy has been a standby for a while when I need a quick meal before a concert in town. But no more. My heart has been won over by Shanghai Street dumplings. They have two spots in Melbourne. One at 64 LaTrobe St and one at 324 Bourke St. I’ve only been to the LaTrobe St one. The ambience is a plus 10 over Camy. Don’t get me wrong, these are not dumpling nirvana. But as a quick cheap meal these dumplings are a cut above the ones at Camy. Probably 2 cuts above. Where the wrappers on the Camy ones are thick and a bit stodgy, these are slightly thinner skinned and stuffed with more goodness. The filling is identifiably spinach and mushroom rather than a nondescript dark green paste. The table has the usual condiments of soy, chinese black vinegar and chillis in oil. The dumplings were followed by a spectacular performance of J S Bach’s The Art of Fugue by Angela Hewitt at the recital centre. 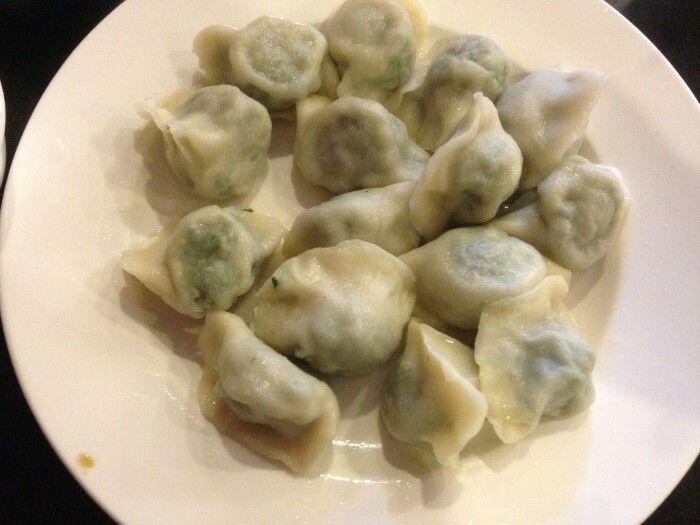 NOTE: It has been reported that the dumplings at Camy are now probably not vegan.